The trend of buying aftermarket products online is increasing at a growth rate of three times more than the total aftermarket (excluding tires and accessories), according to a new report from the Auto Care Association. The 2017 e-tailing market, excluding tires and accessories, was $15 billion. The expected CAGR through 2020 is 9 percent. Total e-commerce via public websites and e-procurement via proprietary systems for professionals is valued at more than $50 billion, and will grow much faster than the overall aftermarket through 2020, according to the report. Disruption to traditional brick-and-mortar distribution and the growth of consolidated e-tail channels could bring pricing pressure and transparency, but also bring new opportunities for growth. In addition, the report includes a teaser on three additional digital disruptors that are projected to create a transformative $30 billion opportunity in the auto care industry by 2030. These disruptions will be detailed in future reports under the “Disruptive Trends Shaping the Future of the Auto Care Industry” series. 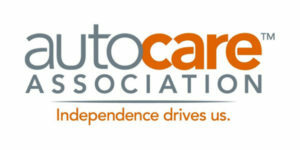 The digital report is now available to Auto Care Association members for $499 and to non-members for $1,599. To learn more or to purchase this publication today, visit digital.autocare.org/etailing2018.